Back in 2012, multi-instrumentalist and violin virtuoso K Ishibashi, better known by his pseudonym Kishi Bashi, burst onto the scene with his debut full-length LP 151A. Since then, he’s evolved his unique mixture of orchestral pop tinged with experimental riffs and rhythms that always leave you guessing. With his latest album, 2016’s Sonderlust, he confronts the chaos and pain of heartbreak along with the struggle to stay inspired artistically. The result is a soaring and intricately weaved collection of songs that range from plucky, folk-inspired ballads to ’70s inspired electro-dance tracks. Now, he’s bringing his ever-surprising sound to Nashville for a headlining show at The Basement East on April 7. Those lucky enough to be in attendance can also catch Ishibashi’s friend and frequent collaborator Tall Tall Trees, who’ll supply some of his trademark psychedelic banjo tunes. Tickets for the show are on sale now for $16, so grab them while you can. 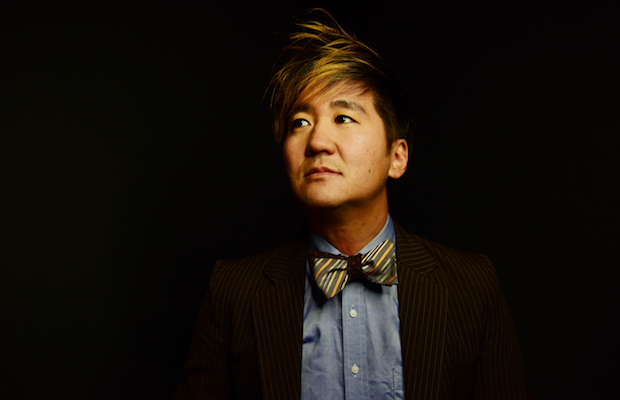 To tide you over until show day, enjoy Kishi Bashi’s hypnotizing new single “Can’t Let Go, Juno” below.